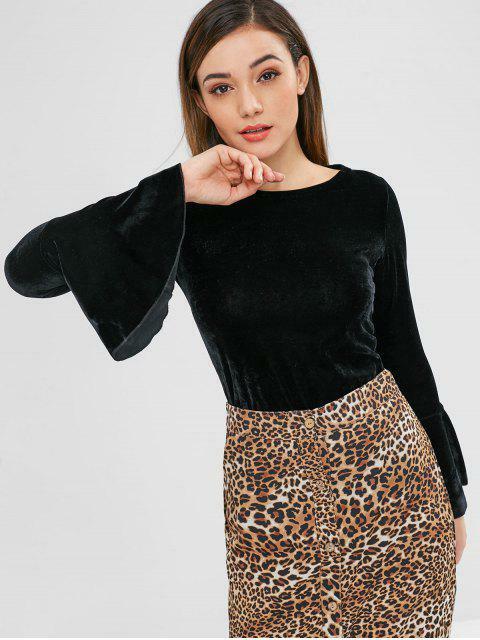 [30% OFF] 2019 ZAFUL Bell Sleeve Velvet Tee In BLACK | ZAFUL ..
Looks exaclty like the pictures, true to size. The gorgeous flared sleeves and the luscious feel of soft velvet make this piece a perfect top to wear on its own or layer over for different styles. Simple but chic, this tee will go well with all your skirts or jeans for stylish looks.